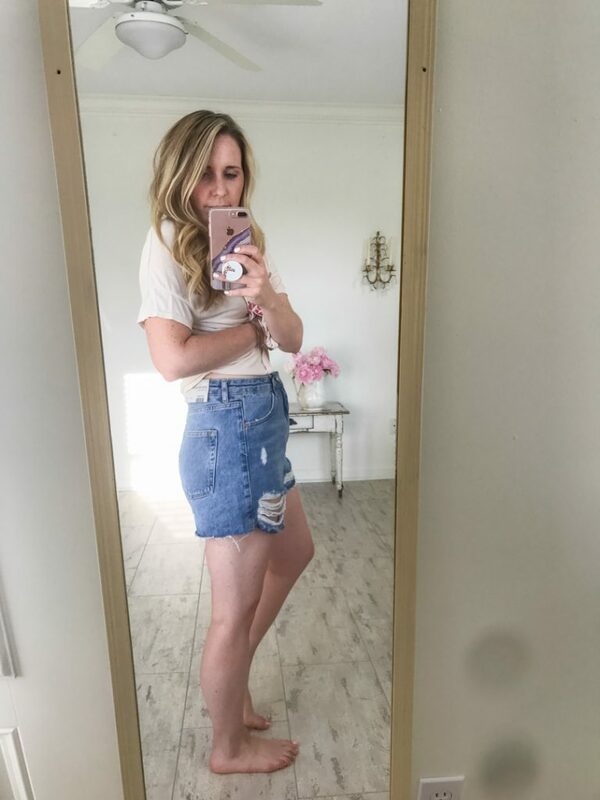 Alright y’all, let’s talk denim shorts. They’re even harder to shop for than jeans! 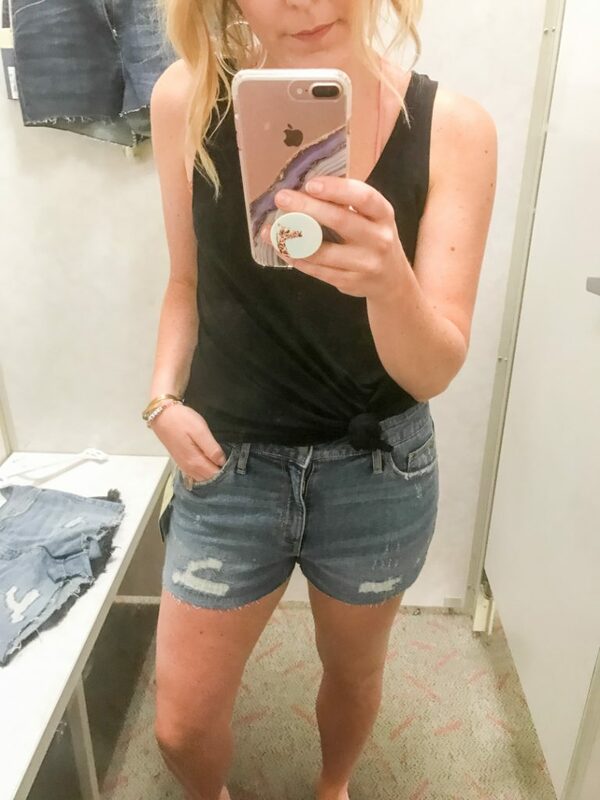 Why is a great pair of denim shorts SO HARD TO FIND?!?! 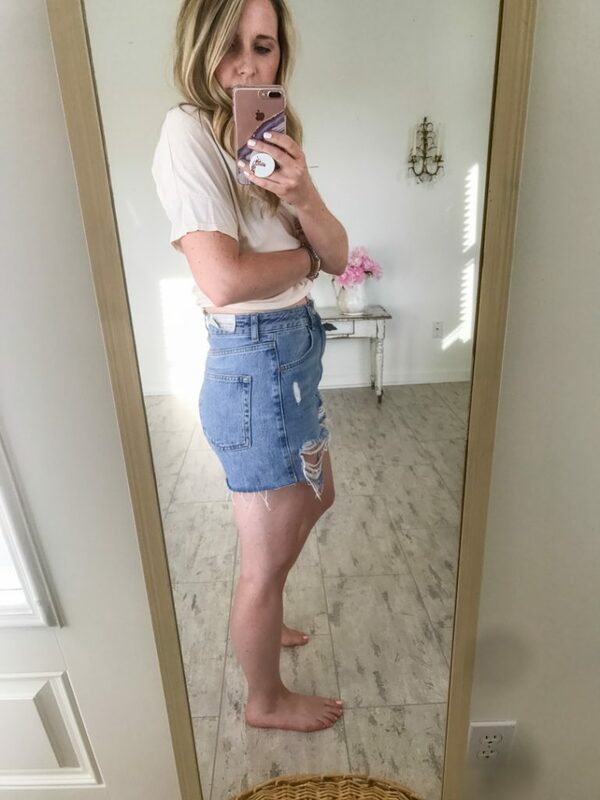 I’ve been wearing the same pair of Free People denim shorts for like 7 years. (Seriously, I wore them in some of my very first posts in 2011!! lol at that post) I don’t even remember how or where or why I got them, but they’ve turned into my summer staple for almost a decade. That’s a long time in the life of an article of clothing. They’ve been with me through weight gain and weight loss and they still fit and still looked good. They’re a little oversized these days but I do truly still love them. I don’t think I’ll ever get rid of them! 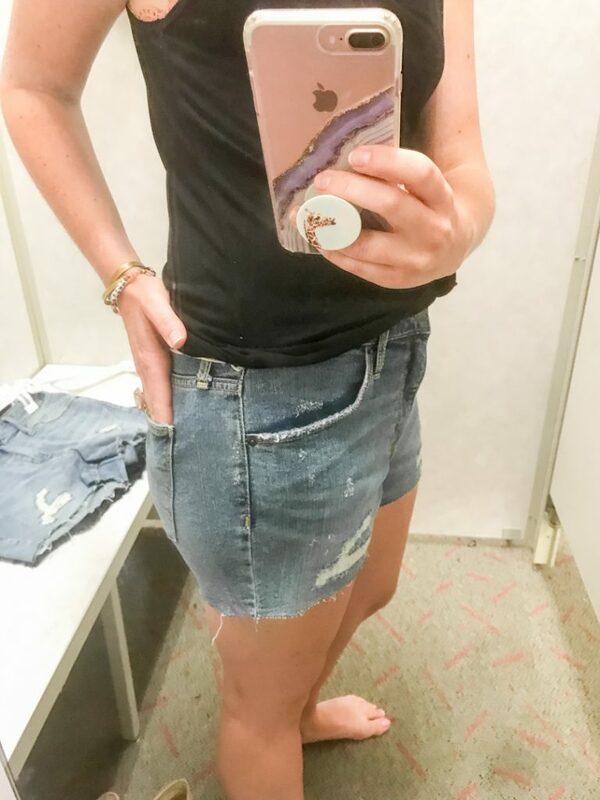 High Waist – All of my denim shorts are low rise, but since I don’t like them tight, that’s ok.Except when I want to wear a cropped or shorter top with them. Homegirl doesn’t want any belly showing, k? 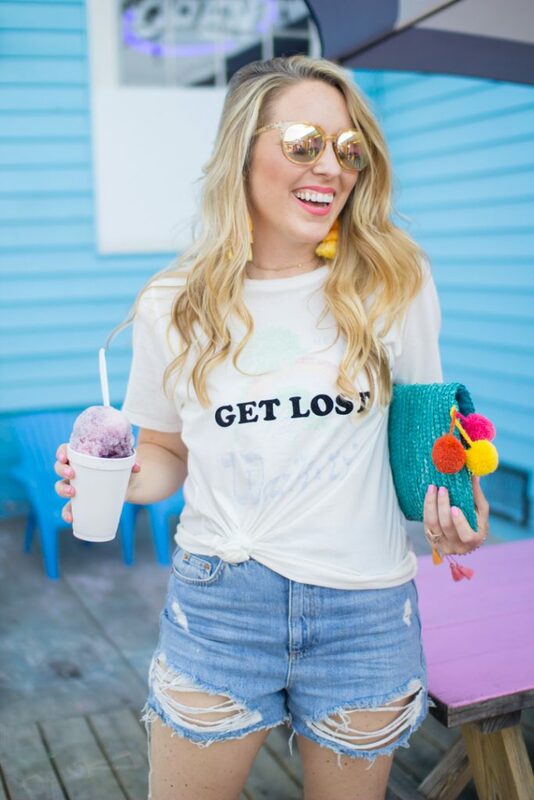 Distressed/Cutoff Look – The distressed look is in and they’re called cutoffs for a reason. 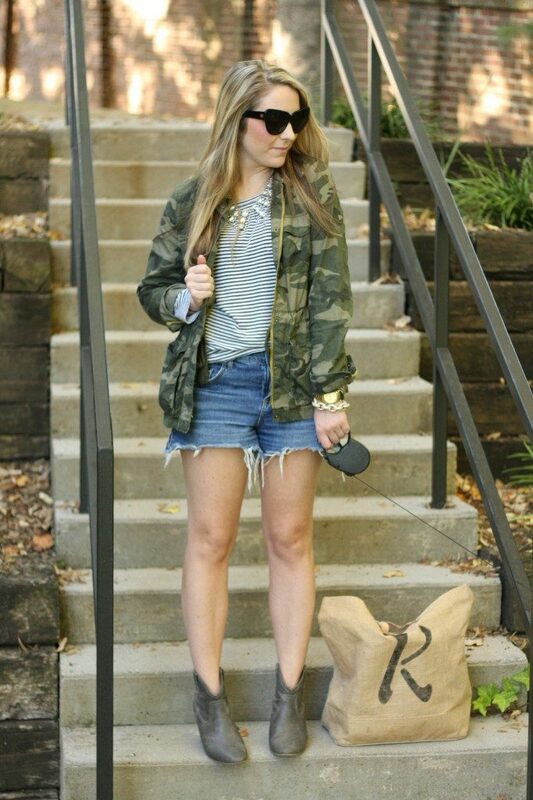 Sometimes a cuff is ok, but I’m more into the full on cutoff look. So frayed hem with some distressing. 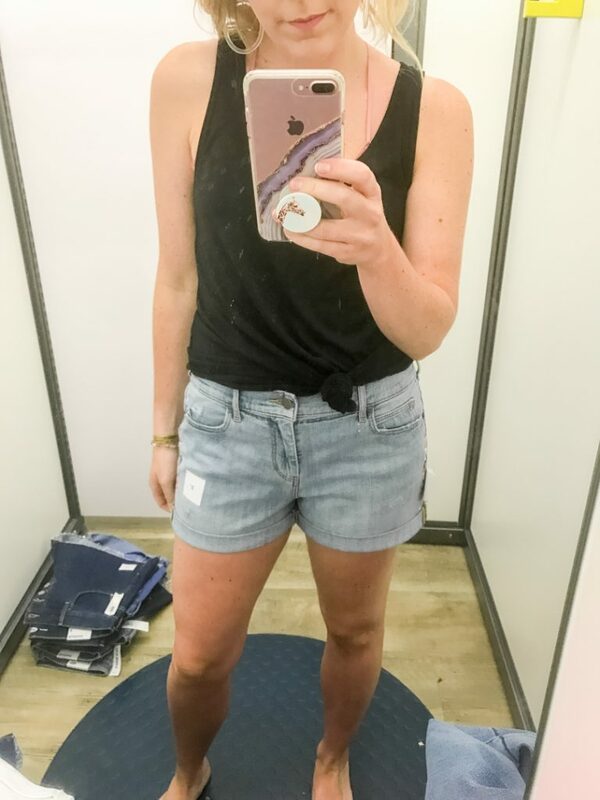 I probably tried on 20 pairs of shorts! 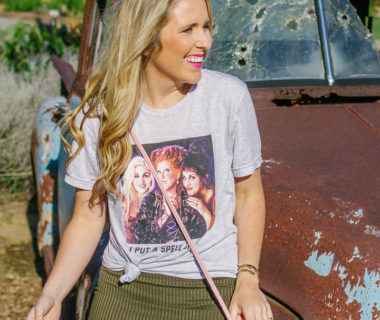 I’m highlighting my favorites below and I literally had 3 favorites that I would purchase and wear myself all at various price points which is awesome! 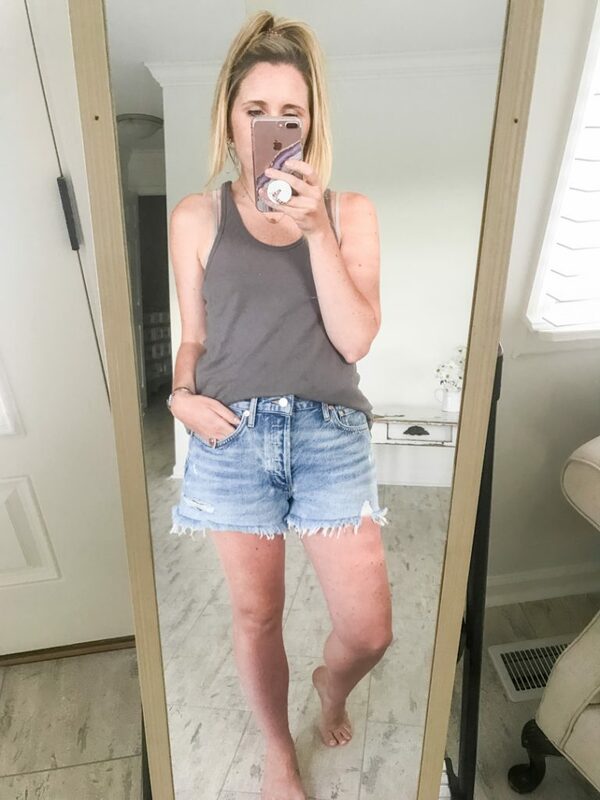 $$: Topshop Distressed Mom Cutoffs – On sale for $42! 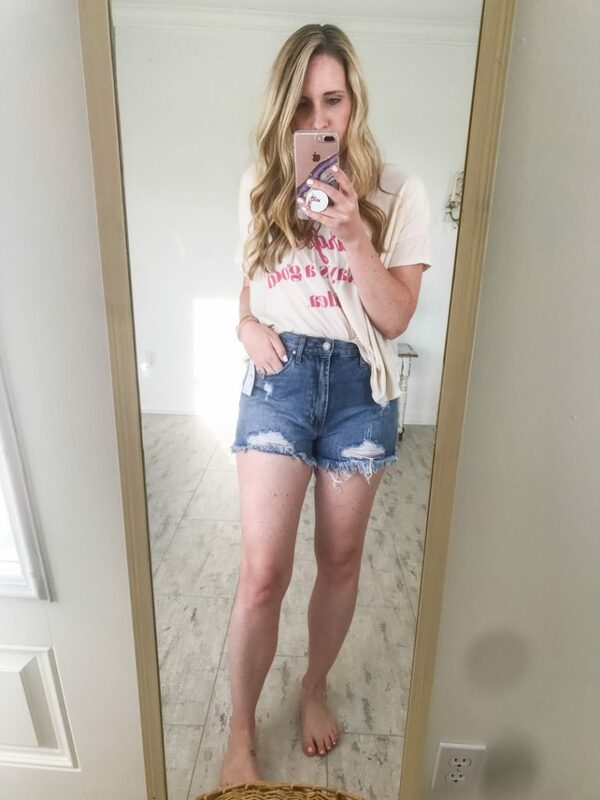 These are what I’ve been wearing a ton lately! They’re super high rise so they fill my cropped top dreams! (I’m obsessed with how they looked with the white ruffle top above!) The only downside is I was in between sizes. So the 6 is a little snug through the waist, but the 8 was a little too baggy looking. So they’re a little tighter then I would like, and they’re also pretty short when I sit down. Which ends up with me tugging at them some, but I do still love them. 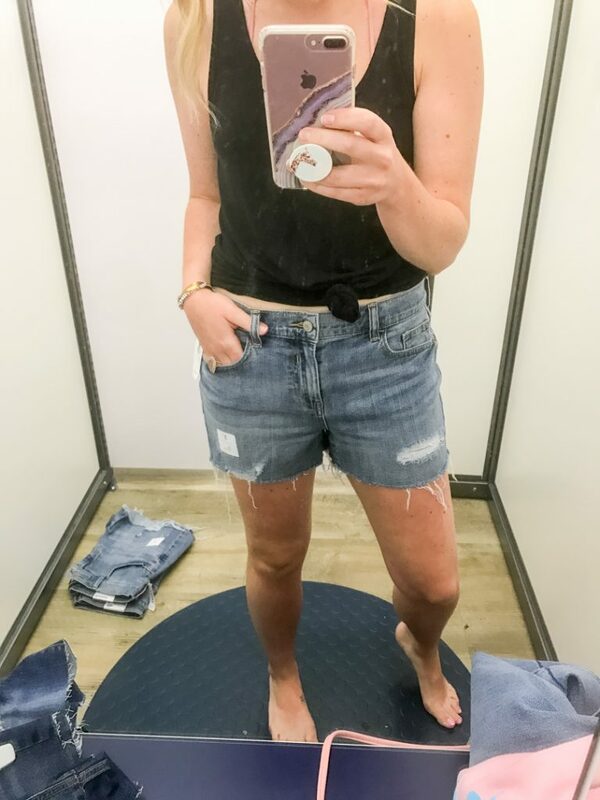 They are on sale too, so I’m ok with them for a $40 pair of cutoffs. 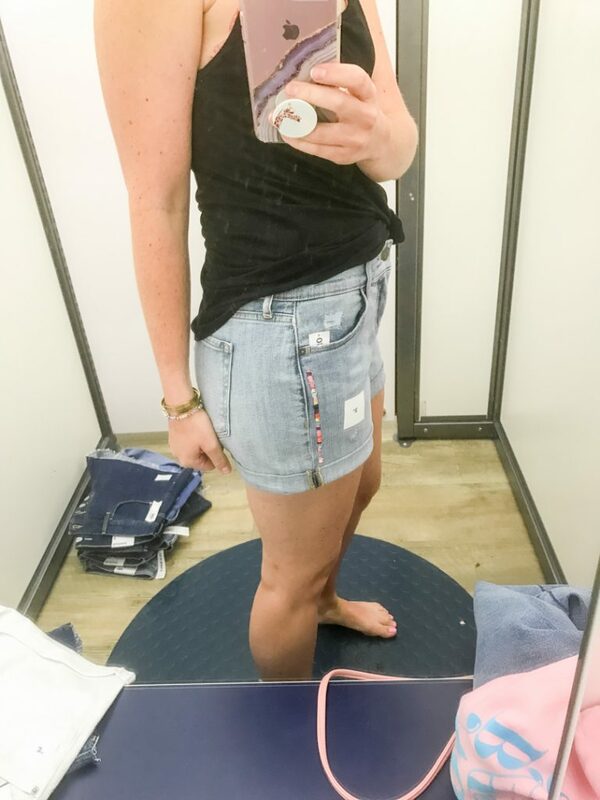 So if that look and a high rise are what you’re looking for those are totally your shorts! If you need length, I wouldn’t suggest these. However, I do love how they’re longer in the back! These are the size 6’s which is what I ended up keeping. 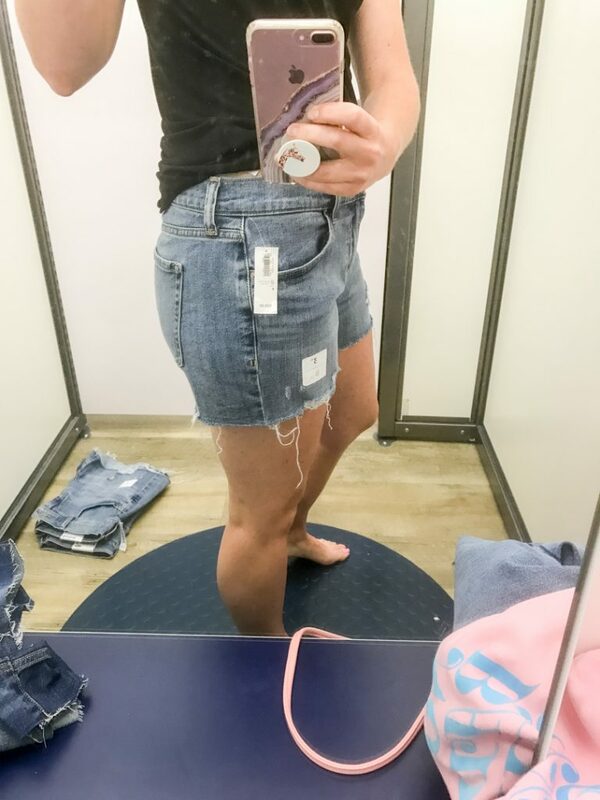 Again they’re just a little snug through the waist. 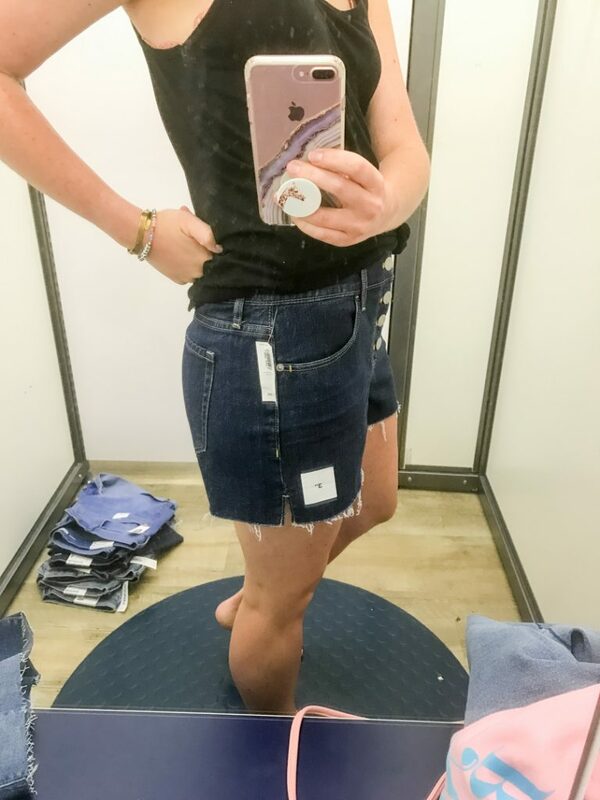 And below is the size 8 which in photos they actually look ok, they just seemed to be too much material in the front, zipper area, which can get a little bunchy if ya know what I mean? 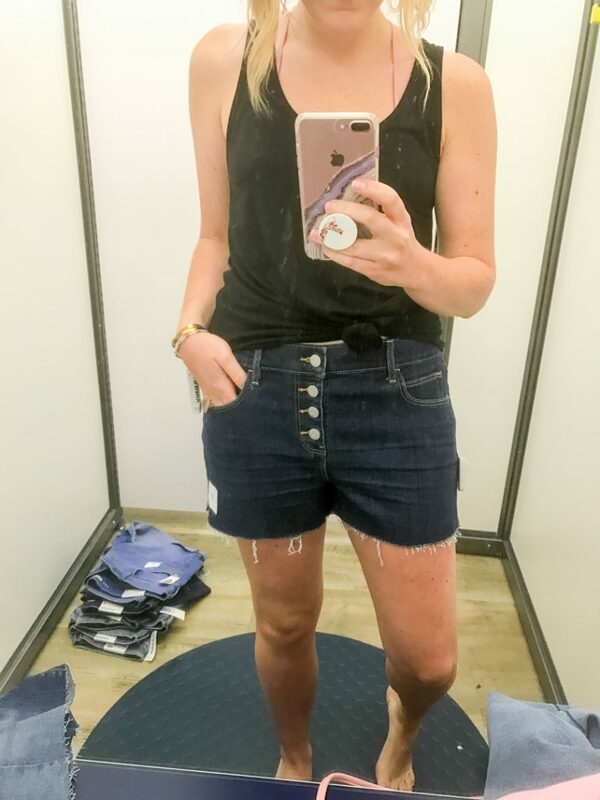 $$$: AGOLDE Parker Distressed Denim Shorts – $128 – These might be my favorite. 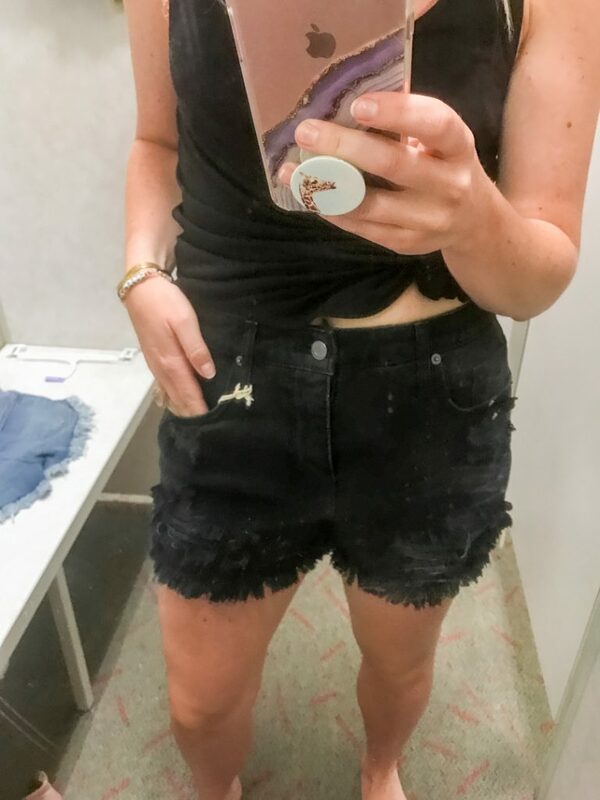 I’m still not sure I’m keeping them or not because I’m not sure I want to pay $128 for a pair of denim cutoffs. Although I KNOW I’ll get my wear out of them and my cost per wear, but I’m trying to hold tight to the ole budget so I’m not sure they’re necessary. But they are so comfy, the color is perfect, the distressing is perfect and they’re a perfect slouchy fit. Ahem, they’re perfect. The leg holes aren’t huge like I like but they are big enough on my legs to still give the leggies some room so I’m liking that. They’re also not super short which for tall girls is also a plus! You can see that these do at least have much larger leg holes than the previous ones. That left leg looks much smaller in comparison to the leg hole which is the effect we want! 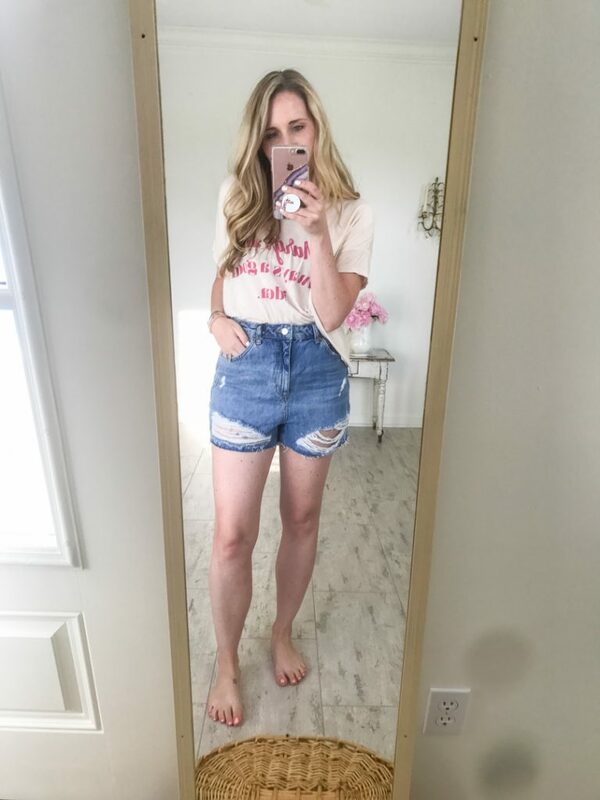 If ya’ll have denim shorts you love, let me know! I’d love to try them out! 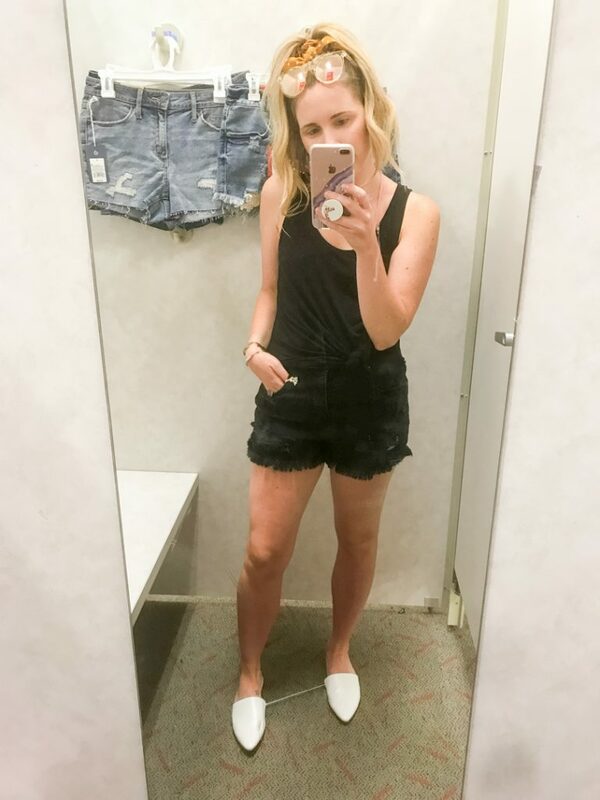 Also, this try on is a totally new type of post for me, so if you liked it and found it helpful let me know! I’d love to do more if you like! Also let me know what else you’d like to see! xoxo!